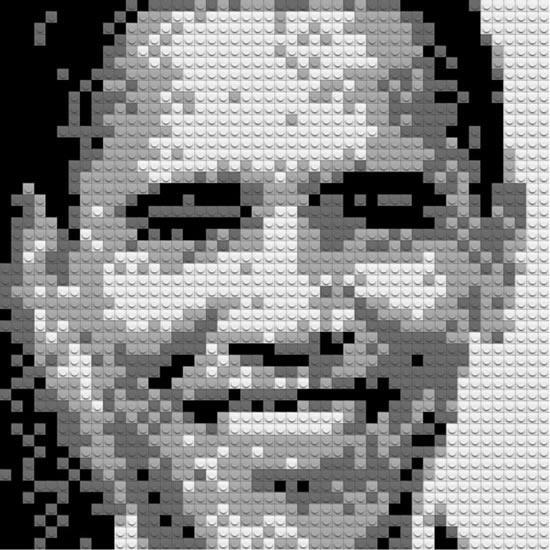 Recreate Your Face in LEGO Mosaic! Home / Blog / Recreate Your Face in LEGO Mosaic! When 29-year-old graphic designer Stefan Sacherer, a big LEGO lover, did his first LEGO portrait for his girlfriend, he realized that was actually what he fancied doing the most. However, he never thought of making a business out of this hobby until his friends encouraged him to do so after being impressed with his works. This is when “Brixels” was born, an Austrian company founded by Stefan and specializing in creating LEGO mosaic portraits. Soon enough, this brilliant business idea became a renowned company that did portraits for celebrities such as Barack Obama, Marylin Monroe and Bruce Lee. 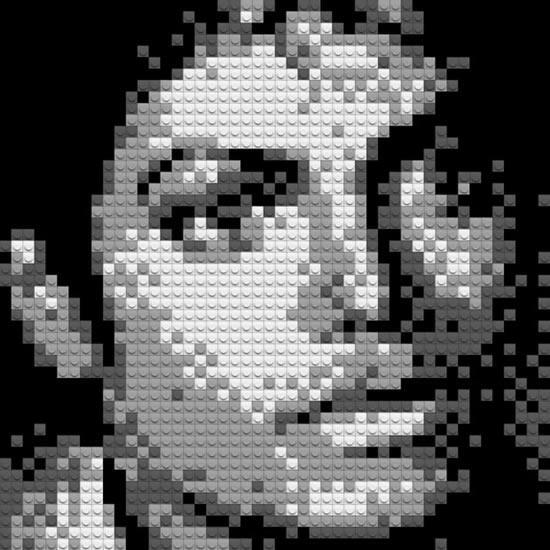 The amazing and unique LEGO portraits are made with thousands of bricks using 4 different shades of grey: black, dark gray, light gray, and white. If Brixels did portraits for famous people, it doesn’t mean you can’t do your own. All you have to do is upload a photo of you on their website and choose either to receive the finished portrait, or a LEGO kit that you can assemble yourself, and this only if you’re up for the challenge of piecing 4,600 bricks!